Apple introduced Siri in 2011 and my world changed. I was running Sensory back then as I am today and suddenly every company wanted speech recognition. Sensory was there to sell it! Steve Jobs, a notorious nay-sayer on speech recognition, had finally given speech recognition the thumbs up. Every consumer electronics company noticed and decided the time had come. Sensory’s sales shot up for a few years driven by this sudden confidence in speech recognition as a user interface for consumer electronics. Fast forward to today and Apple has just become the first and only trillion dollar US company in terms of market capitalization. One trillion dollars is an arbitrary round number with a lot of zeroes, but it is psychologically very important. It was winning a race. It was a race between Cook, Bezos, the Google/Alphabet Crew and others that most of the contestants would say doesn’t really matter and that they weren’t in the race. But, they were and they all wanted to win. Without question it was quarterly financial results that caused Apple to reach the magic number and beat Amazon, Google and Microsoft to the trillion dollar value spot. I wouldn’t argue that Siri got them there, but I would argue that Siri didn’t stop them, and this is important. Siri has had a bit of a mixed history. It was the first voice assistant to come out in mobile phones but in spite of Apple’s superior marketing abilities, the Google Assistant (or whatever naming convention was being used as it never seemed totally clear) quickly surpassed Siri on most key metrics of quality and performance. The Siri team went through turnover and got stuck in a world of rule based natural language understanding when the state of the art turned to deep learning and data-based approaches. Then in 2014 Amazon introduced the Echo smart speaker with Alexa and beat Apple and others into the home with a useable voice assistant. Alexa came out strong and got stronger quickly. Amazon amassed over 5,000 people into what is likely the largest speech recognition team in the world. Google got punched but wasn’t knocked out. Its AI team kept growing and Google had a very strong reputation in academia as hiring the best and brightest machine learning and AI folks out of PhD programs. 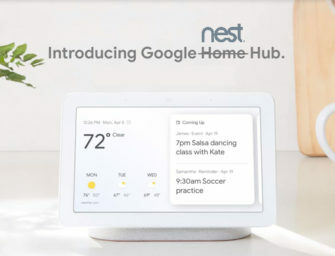 By 2016, Google had introduced its own smart speaker, and by CES 2018, Google made a VERY strong marketing statement that it was still in the game. All the while Apple stayed relatively quiet. Drifting further behind in accuracy, utility, use-ability, integration and now smart speakers, Siri took its time. The HomePod speaker had a series of delays and when introduced in Q1 2018 was largely criticized because of the relatively poor performance of Siri and lack of compatibility. The huge investment Bezos made in Alexa might have been hard for Apple to rationalize in a post Jobs era run by a smart operating guy driven by the numbers more than by a passion or vision. Or, perhaps Tim Cook knew that he had time to get it right, as the Apple eco-system was captive and not running away because of poor Siri performance. Maybe they were waiting for their services ecosystem to really kick in before cranking up the power of Siri. For whatever reason, Siri was largely viewed as the first out of the gates but well behind the pack in Q2 2018. Fast forward to now and I’ll say why I think things are changing and why I said that Siri didn’t stop Apple from being first to $1T. But first, let me diverge to dwell on the importance of an AI Assistant to Apple and others. First off, it’s pretty easy to see the importance the industry puts on AI assistants. Any time I watch advertising spots, I see some of the most expensive commercials ever produced with the biggest named stars promoting “Hey Google”, “Hey Siri”, and “Alexa” (and occasionally Bixby or Cortana too!). The assistants aren’t sold and so they don’t directly make money but they can be used as purchasing agents (where Amazon makes a lot of money), advertising agents (where Google makes its money), access to entertainment services (where all the big guys make money) and as a user experience for consumer electronics (where Apple makes a lot of money). The general thinking is that the more an assistant is used, the more it learns about the user, the better it serves the user, and the more the user is locked in! So winning in the AI Assistant game is HUGELY important and recent changes at Apple show that Siri is quickly coming up in the rankings and could have more momentum right now than in its entire history. That’s why Siri didn’t stop Apple from reaching $1T. Let me highlight three recent pieces of news that suggest Siri is now headed in the right direction. HomePod Sales: Apple HomePod sales just reached $1B. Not a shabby business given the high margins Apple typically gets. According to Consumer Intelligence Research Partners (CIRP) the HomePod marketshare doubled over the past quarter. What’s interesting is that the early reviews stated that Siri’s poor performance and lack of compatibility was dragging down HomePod sales. However, CIRP reported the biggest problem today is price and that at $349 it is hundreds of dollars more than competitors. Loup Ventures analysis: Loup Ventures does an annual Assistant assessment. Several companies do this sort of thing and the traditional and general rankings have previously showed Google as best, Cortana and Alexa not far behind, and Siri somewhat behind the pack. Loup’s most recent analyses showed something different. Siri is shown to have the most improvement (from April 2017 to July 2018) in both “answered correctly” and “understood query”, and has surpassed Cortana and Alexa in both categories. Of particular note is the categories of correct analysis. Siri substantially outperformed Google Assistant in the “command” category which is arguable the most important category for a consumer electronics manufacturer that wants to improve user experience. Apple Reorganization: In April 2018 Apple hired John Giannandrea. JG is a silicon valley luminary and not only played roles with early pioneers like General Magic and Netscape, but he was a founder of TellMe Networks which still holds the record for the highest valued acquisition in the speech recognition space. Microsoft paid $800 million in a 2007 acquisition. JG didn’t retire and rest on his laurels. He joined Google as an Engineering VP and in 2016 was promoted to SVP Search (yeah I mean all of search as in “Google that”) including heading up all artificial intelligence and machine learning within Google. Business Insider called him “The most sought after free agent in Silicon Valley.” He reports directly to Tim Cook. In July 2018, a reorg was announced that brings Siri and all machine learning under one roof…under JG. Siri has bounced around under a few top executives. With JG on board and Bill Stasior (VP Siri) staying on and now reporting into JG, Siri has a bright future. It may have taken a while but Apple seems serious. It’s nice to have a pioneer in the space not stay down for the count! Todd Mozer is Chairman and CEO of Sensory, a leading embedded AI company with focus areas in natural language, biometric and computer vision technologies. Sensory was founded in 1994 and some its many customers include AT&T, Garmin, GoPro, Huawei, Mitsubishi, Samsung and Sony.